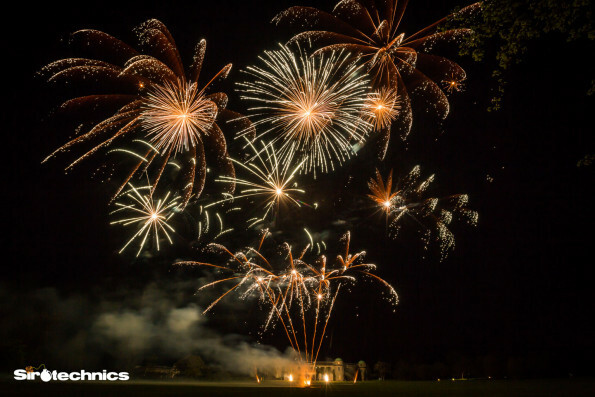 Sirotechnics fireworks were delighted to create a pyromusical spectacular for Antonia’s wedding in May 2016 featuring the sound track of Hedwig’s Theme from Harry Potter! Although it wasn’t a fully Harry Potter Themed Wedding, this track had significant meaning for the Bride and Groom, it was an absolute delight to work with and create for them. Click play, fullscreen it and watch the magic unfold below! If you are thinking of having a Harry Potter Themed Wedding then this really is the icing on the cake. We can produce your pyromusical display at nearly any venue as long as they allow fireworks. From the start Sirotechnics will arrange everything, all you need to do is choose us as your firework display provider. Harry Potter Firework Fact : In The Order of The Phoenix, the twins fire a of barrage fireworks. Did you know that as Harry Potter is short sighted, he only sees blurred fireworks?! Well that won’t be a problem with our fireworks as they are so vivid and bright!! For a themed wedding you can choose anything. We have done fireworks to Disney’s Frozen and also Beauty and the Beast. As Pyromusical Firework Specialists, Sirotechnics can synchronise fireworks to any choice of music you can think of. Have an idea? Get in touch and ask us! !